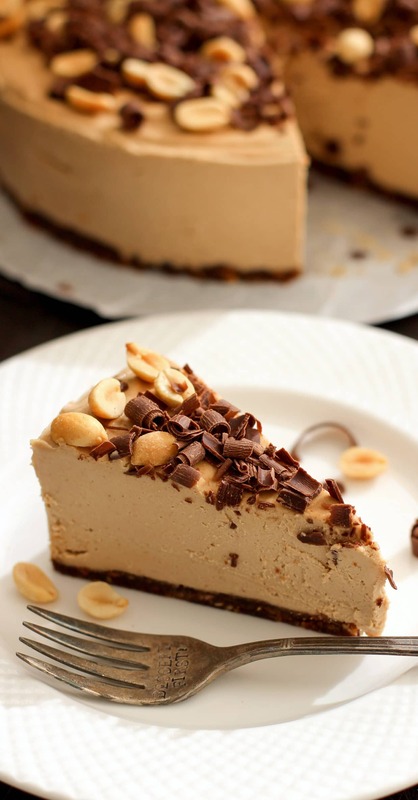 For the longest time I’ve wanted to make a Raw Cheesecake. 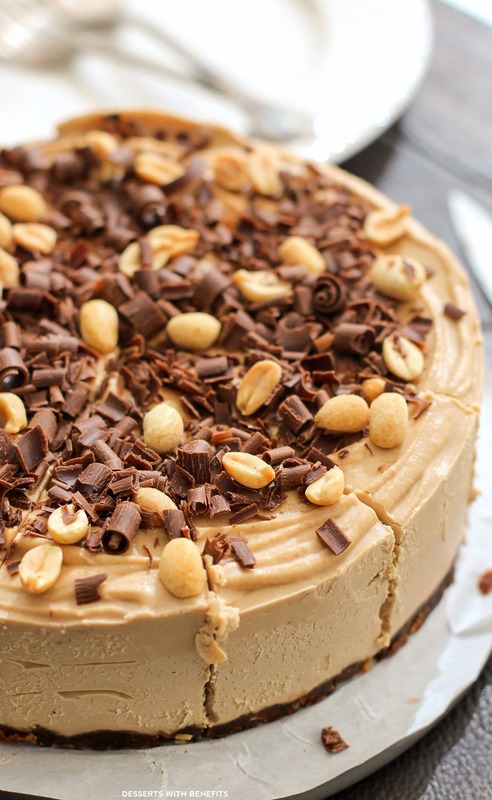 You know, the ones with a date-nut “crust” and a cashew-coconut filling? I think I pinned this Cheesecake back in 2013. Yes, 2013. I don’t know why it took me this long to finally make a dang Raw Cheesecake. Actually, I do know why. 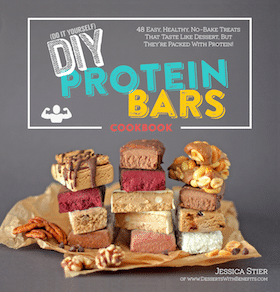 They are very time consuming, expensive, and although they’re all natural and made with good-for-you ingredients, they’re not as nutritionally balanced I’d like (very heavy on the fats and sugars, not so much on the protein and fiber). But, it was time to finally bite the bullet. 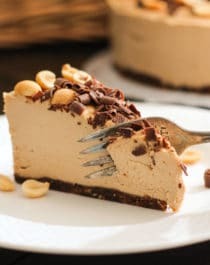 This no-bake Healthy Chocolate Peanut Butter Raw Cheesecake is ultra creamy and packed with chocolate and peanut butter flavor! 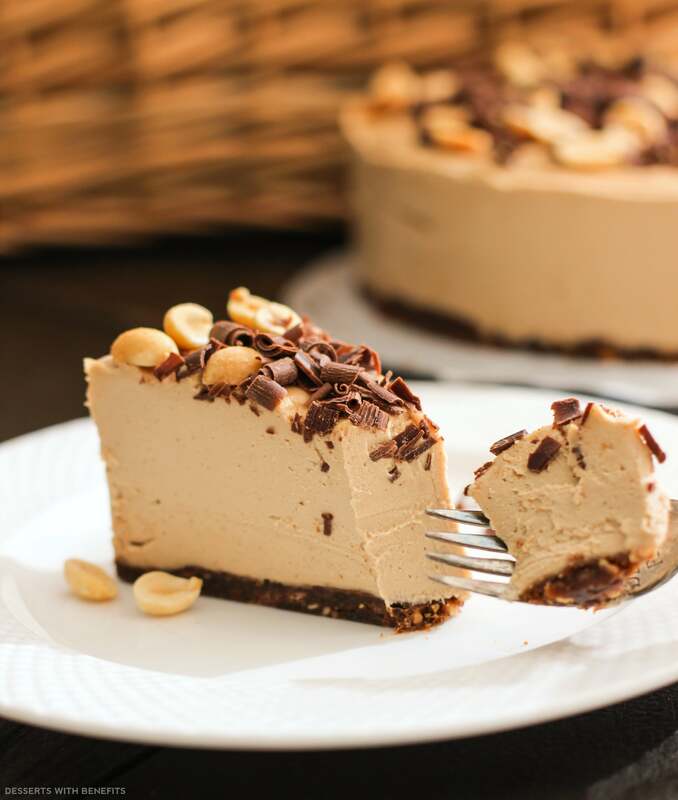 It’s also lower sugar, higher protein, and easier to make than typical Raw Cheesecakes too, whoop whoop! Line a 7" springform pan with a parchment paper circle. Unwrap the Larabars and flatten them out into the pan. In a high-speed blender (I used my Vitamix), add the almond milk, peanuts, peanut butter, vanilla extract, stevia extract and salt. Blend on high until completely smooth. It will thicken slightly. Add the protein powder and blend one last time. Pour the filling over the "crust" and spread it out. Tap the pan on the counter a few times to help get rid of air bubbles. Freeze for ~3 hours, or until the surface is firm when tapped. Use an offset spatula to separate the cheesecake from the springform. Slice and serve! Soooooo I think you’ve completely outdone yourself with this recipe. 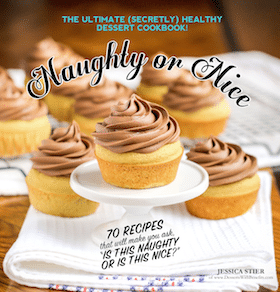 Oh my gosh Jessica this is AMAZING <3 I'm thinkin' this will be my birthday dessert this year! Hope you like the cheesecake!! 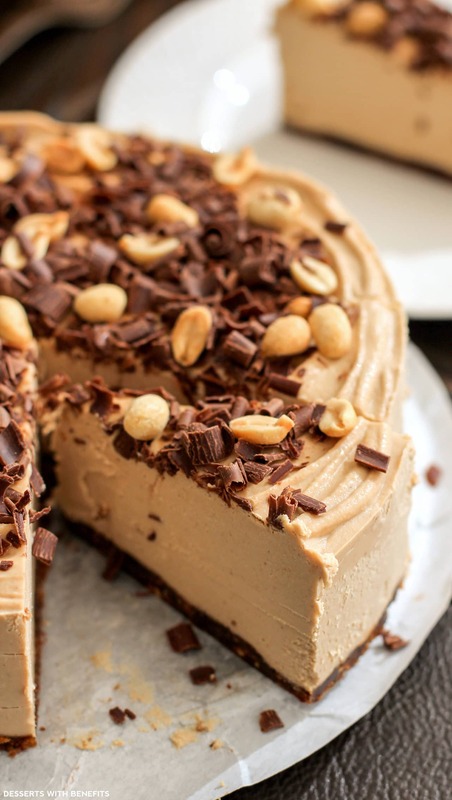 I was just told to cut out dairy from my diet and this looks amazing. I thought I would never be able to have cheese cake again! NO WAY is this healthy. 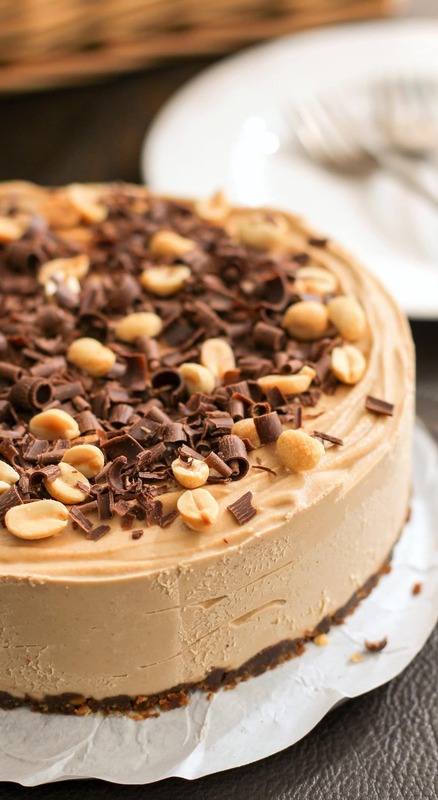 I LOVE that you made Larabars as the cheesecake base for this recipe–SO clever! 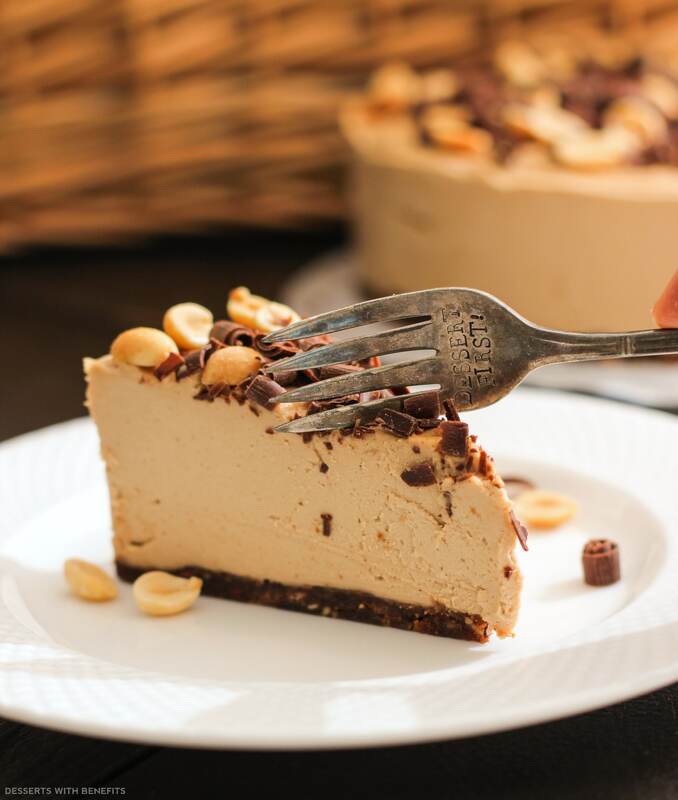 A raw chocolate peanut butter cheesecake that is high in protein and low in sugar is a total game-changer. DEFINITELY keeping this one in mind! I just wanted to ask, could you just leave out the protein powder or is there any substitution? Definitely trying this very soon! I couldn’t find cacao butter but the health food store in my area thought cacao powder would work well. Any thoughts? Thanks, can’t wait to make this! I’m afraid cacao powder won’t replace the cacao butter. Cacao butter is like a chocolate-flavored coconut oil, which solidifies when it’s cold. 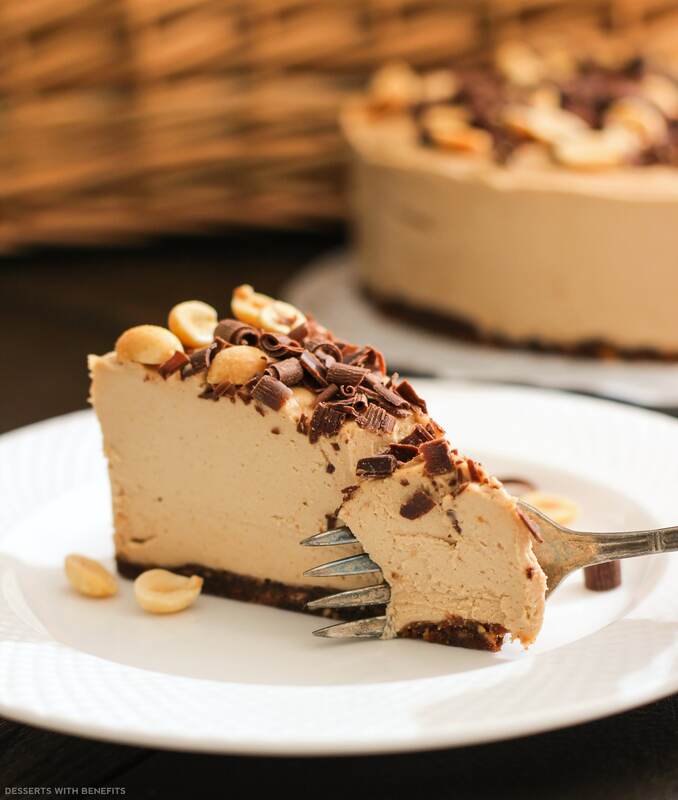 Cacao powder is just like cocoa powder, and the cheesecake filling won’t firm up with that. I buy my cacao butter on Amazon.com because it’s cheaper than in Whole Foods or any other health food store. 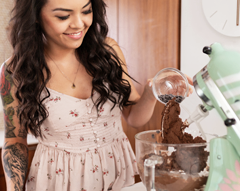 But, if you don’t want to use it then you can use 1/2 cup coconut oil + 1/4 cup cocoa powder or cacao powder. 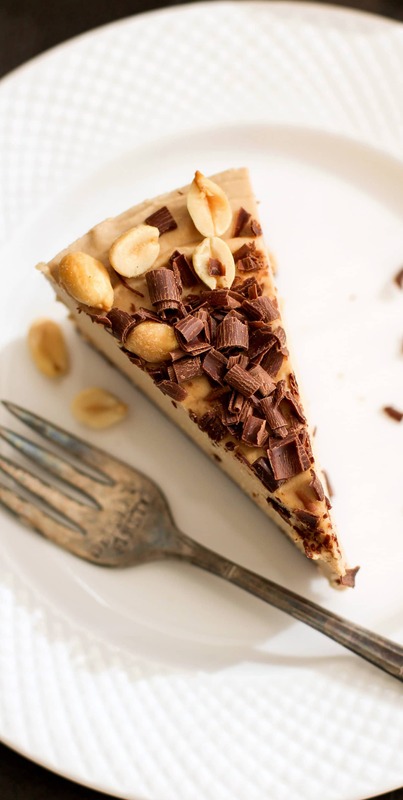 Just note that the filling won’t be “peanut butter-colored” and it’ll be be chocolatey instead. Can you use any type of protein powder or does it have to be specifically the brown rice protein powder? The brown rice protein powder helps thicken the filling. I’m not sure what protein powder you were thinking of, but I’m almost positive that whey protein, casein or egg protein won’t work here. I haven’t tried hemp or pea or soy protein, so I can’t be sure if those will work.